Is Machine Learning the Next Line of Cybersecurity Defense? Podcast: Chris Witkowsky, PE Hub & Buyouts — What’s Next for PE? Remote work has grown 115% in the past decade, according to a recent Harvard Business Review article. But for business strategists seeking to maximize workforce efficiency, this might not be a trend to join. Remote workers report lack of engagement – and workers who aren’t engaged tend to feel lonelier and quit more often than those who are. The same HBR study found that roughly 66% of remote employees say they aren’t engaged. About 33% don’t ever have “face time” – face-to-face interactions – with the people they work with. As a result, just 5% say they are likely to see themselves working at the same company throughout their career. Thirty-three percent of workers who never work virtually see themselves doing that. Lack of engagement and plans of a long-term at a company means companies are either going to face demotivated workers with a relatively high turnover, or change the mindset of virtual workers. …but many need strategies to fight disengagement, such as periodic face time. Companies are already moving to eliminate some of the negative aspects of remote work, in several ways. One blunt way is to eliminate virtual work. A growing list of companies have thrown out remote work policies, and require employees to be on-site – and only on-site – all the time. These organizations include top names in technology news, such as IBM, Honeywell, Yahoo!, Best Buy, HP, and Reddit. Others, though, feel that remote policies can work, and have considerable advantages. 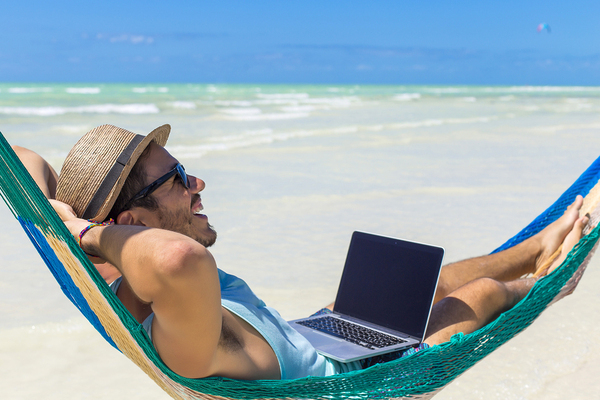 Remote workers show more productivity than on-site ones. Also, the flexibility of remote work is highly prized, and a valuable benefit to attract and keep employees. But these companies, too, often put policies in place to mitigate lack of engagement. These include having occasional meetings on-site that everyone, including virtual workers, attend. Managers can also tele- and videoconference to combat the isolation that leads to disengagement. Frequent phone conversations can help with this as well. Managers should not assume that working on one’s own without frequent base touches is ideal. Other strategies including pinpointing those who can best work well from home. Some roles, such as writing or designing, may lend themselves to virtual work with periodic on-site staff meetings. Other roles, such as managing a team, are a better fit with on-site work. Managers should identify groups that tend to struggle with issues that could affect remote work as well. Women seem to work remotely with fewer emotional issues than men, for example. Nearly 60% of men say they are lonely at work, whereas just 40% of women do. People who are lonely at work may not be good candidates for remote work, since it may tend to increase isolation. Older workers, surprisingly, tend to have fewer emotional issues than younger ones. Nearly 50% of Millennials and Generation Z workers feel lonely at work, but less than 30% of Baby Boomers do. Is Fear a Motivator – Or a Demotivator?